Woods Hole Oceanographic Institution (WHOI) climate scientist Caroline Ummenhofer studies the ocean’s role in the global hydrological—or water—cycle to understand how water is transported between the ocean and atmosphere and onto land as rain and snow. A mathematician by training, Ummenhofer uses computer models to simulate different weather scenarios. Then, by comparing the modeled scenarios to observed conditions—ocean temperatures, currents, prevailing winds, and other factors—she draws conclusions about how those factors contribute to real-world weather patterns and climate. She is particularly interested in extreme climatic events—unusually severe storms, floods, droughts, and heat waves—that can have major consequences for life both on land and in the ocean. 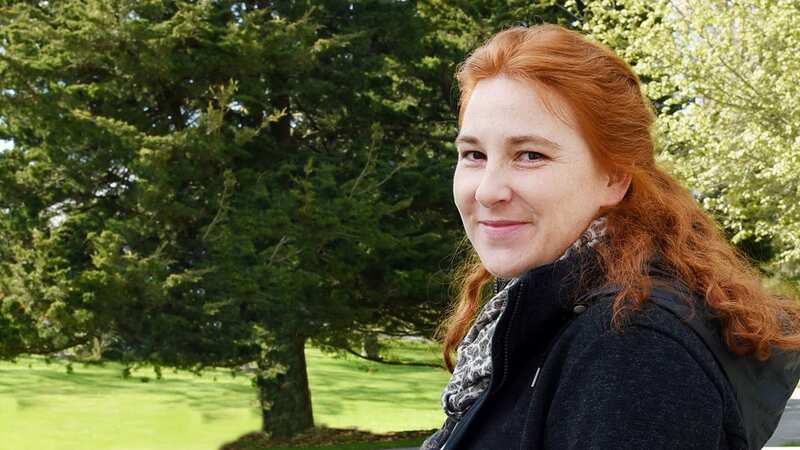 Ummenhofer was one of several WHOI researchers who contributed articles about extreme climatic events for a special issue recently published by the journal Philosophical Transactions of the Royal Society B, co-edited by WHOI marine biologist Stephanie Jenouvrier. Oceanus sat down with Ummenhofer to talk about our changing climate. Ummenhofer: That’s actually quite difficult to do, without getting too technical! But extreme events are those that occur very rarely—in the upper or lower five or ten percent of a normal distribution of events. And there are different ways to describe extreme events: based on their frequency—they are very rare, by definition—their spatial footprint, their intensity, or their duration. All those are the kinds of characteristics that we would want to understand and be able to predict. Oceanus: It sounds like what’s considered an extreme climatic event might vary from place to place? Ummenhofer: Yes, absolutely. A daytime temperature of seventy degrees Fahrenheit in Alaska during wintertime would be considered unusually warm, while the same daytime temperature in the Sahara Desert would be considered extremely cold. There’s also a seasonal dependence: seventy degrees here in New England during summertime isn’t unusual, but in wintertime it is. Oceanus: Are extreme climatic events happening more often now than they did in the past? Ummenhofer: It depends on what variable you’re looking at. There is a consensus in the scientific community that high-temperature extremes are occurring more frequently, and low-temperature extremes are occurring more rarely. Short, intense rainfall also seems to be increasing in frequency. But to be able to say whether an event is occurring more or less frequently, and whether things are changing, also depends a lot on the quality of the data and length of record that we have. Because extreme events are very rare, by definition, we need a fairly long record to actually be able to assess changes with confidence. If an extreme event only occurs five percent of the time and if you only have twenty years of data, then you’re not really sampling a broad enough range of possible events. We are more confident about trends in extreme events in areas where we have good quality records that go back a hundred years or so. North America and Europe are generally considered areas where fairly good records exist. In places like Africa or South America, where there is fairly sparse data coverage, we can’t say with confidence whether extreme events are changing, because we haven’t measured them for long enough. Oceanus: Have satellites helped to fill in those data gaps? Ummenhofer: Satellites and remote sensing technologies have really helped us a lot, because they give global coverage. And so, since the 1980s, when many satellites were launched, we are actually a lot more certain about the record, because we have global coverage of sea surface temperatures, rainfall, winds—those kinds of measurements. According to the World Meteorological Organization, thirty years is generally considered the length of record needed to determine average climate conditions. With the advent of satellites, we’re starting to get to the point where we have that length of record. Though, again, for the most extreme events that only occur every 30 to 50 years—or for a “once-in-a-century” event—thirty years of data won’t be enough. Oceanus: Can we trace the history of certain kinds of extreme climatic events better than others? For the high temperatures, droughts, and high-pressure systems often associated with heat waves, we actually have a good understanding of how those are changing. Heat waves are often also large-scale in nature. That means you don’t need to measure them spatially at high resolution, you can deduce a lot from fewer measurements. But something like rainfall is very variable in space and time. It can rain here, but it won’t rain a few miles away. And so, you need a very good, dense observational network to be able to diagnose changes in rainfall, which makes understanding rainfall extremes actually quite tricky. Oceanus: Can we link specific extreme climatic events—droughts and floods—to human-induced climate change? Have we made advances there? Ummenhofer: We certainly have advanced, and again it depends on what type of event you’re looking at. It is difficult to associate a single event with a particular cause and say this drought or that flood was caused by climate change. But what we can say is that we are actually changing the odds of a particular event occurring. 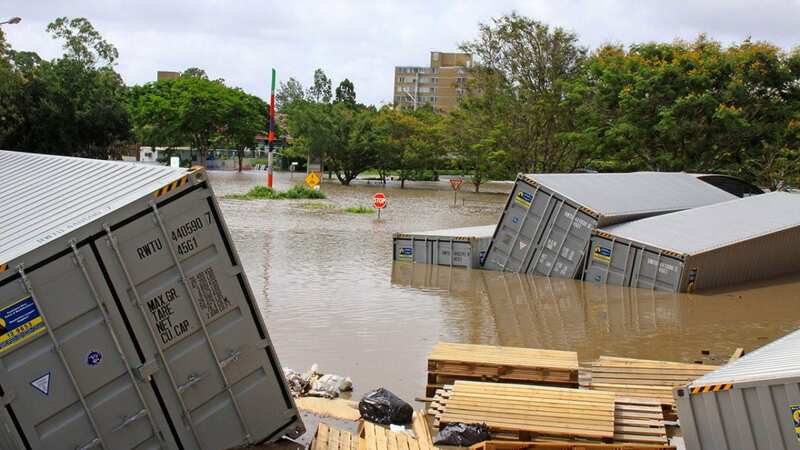 We’ve done some work in Australia, for example, which experienced really severe floods in the summer of 2010–2011. Large areas in the northeast of the country experienced extremely wet conditions. In fact, so much water was dumped onto Australia that it filled the immense Lake Eyre basin in the interior of the continent, removing that water from the ocean-atmosphere component of the water cycle and causing global sea level to drop. So, it really was a big event by any standards. It was associated with unusual conditions in the Pacific—a very large La Niña event, an ocean-atmosphere phenomenon that normally brings heavy rainfall to Australia. But ocean temperatures around Australia were also very warm. Part of that was the La Niña, but there was an additional part: that ocean temperatures have warmed over the past 50, 60 years—everywhere, and including around Australia. Oceanus: So, both the La Niña phenomenon and the warm ocean temperatures helped cause the heavy rains and flooding in Australia? Ummenhofer: Yes. But what we wanted to tease apart was how much was due to the La Niña, which often brings heavy rainfall, and how much was due to ocean warming. We set up two climate model experiments: one where we used the ocean temperatures exactly as they were during 2010–2011, and one where we artificially removed the long-term ocean warming. We then asked the question: How likely was it to get this much rainfall over Australia? And what we could see is that it was actually three times as likely to have this much or more rainfall with the extra ocean warming included, than without it. We still can’t say this event was caused by climate change, but we can say that it was a lot more likely. And our research suggests that in future, warmer ocean conditions are likely to contribute to unusually wet conditions in northern Australia, like those experienced in 2010–2011 during the La Niña event. Oceanus: Just to clarify, are human activities causing the increasing ocean temperatures around Australia and elsewhere? Ummenhofer: The ocean warming around Australia certainly has an anthropogenic component, but there’s also been natural variability. Ocean temperatures in the Indo-Pacific also normally vary on decadal timescales, so that there are some decades when certain regions are particularly warm or particularly cold. So, both of those factors have been working together recently to make the oceans around Australia warmer. That makes it hard to say with certainty whether this event was caused by human-induced climate change. We are really talking more about shifting likelihoods. In the case of heat extremes and droughts, though, there have been some recent studies that suggest it’s incredibly unlikely to have extreme events of this magnitude, intensity, and duration without human-induced climate change. Oceanus: Are extreme climatic events having an impact on ocean ecosystems and marine life? Ummenhofer: Yes. That’s a very active area of research. A lot of the work on extreme climatic events was developed on land, looking at terrestrial and atmospheric variability. However, there is growing recognition that heat waves also occur in the ocean, and that they have large implications for ecosystems, for fisheries, and for aquaculture. There are actually a lot of extreme events that we’re just starting to understand in the ocean, and we’re trying to adapt some of the concepts and understanding that have been developed in the atmospheric and terrestrial realm, to also bring them to the ocean. Marine heat waves are probably the most commonly used example, and the most well understood. Oceanus: What is a marine heat wave? Ummenhofer: It’s similar to a heat wave on land. It’s a sustained period of very warm temperatures that can last for weeks or months. The areas around Australia have had recent experiences with large marine heat waves, which often lead to coral bleaching. For example, the Great Barrier Reef off the east coast of Australia or the Ningaloo region in the eastern Indian Ocean have been very much affected recently. 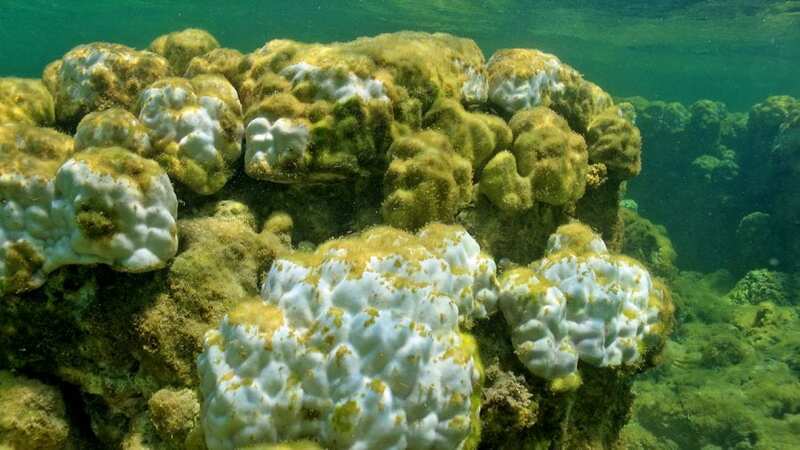 Globally, many coral bleaching events are associated with the counterpart to La Niña events—El Niños—that raise surface ocean temperatures by several degrees over thousands or tens of thousands of kilometers, in particular in the central Pacific and the eastern Pacific. In the past, most scientists generally thought about environmental change as being a sort of steady process, and species adapting to that—or not. But now there is more understanding that it’s actually extreme events that can drive some of these changes in how species or ecosystems are distributed. Some responses to extreme climatic events might not be reversible: once a coral reef or kelp forest is gone, it’s gone. A lot of work now focuses on “resilience”—how ecosystems cope with disturbances like a massive coral bleaching event, and whether or how they recover. Oceanus: Why don’t we know more about the ecological impacts of extreme climatic events? Ummenhofer: By definition, extreme climatic events are very rare, and so you need to have a fairly long data record to be able to understand an ecosystem’s response to them. How often do they occur? How frequently do they occur? How long do they last? Where do they occur? Having good, long records is the key to being able to say with confidence whether extreme climatic events are changing, and what the ecological impacts of extreme climatic events could be. Even for drought and temperatures and rainfall, we’re talking about a limited data record. We have now thirty to thirty-five years of high-quality global coverage for some of these physical variables, and we are quite happy with that. But if you’re talking about ecological records, thirty years is a dream! There are only very few places where you actually have that. The other challenge is that the climate models that we rely heavily on are only now starting to get to the point where we can actually resolve the physical parameters at the scale at which a forest or a coral atoll will experience the effects of climate. Oceanus: How detailed can we get with climate models now, in terms of spatial scale? Ummenhofer: Typically, what we’re talking about is a grid size of fifty or one hundred kilometers. There are some models that are running at a couple of kilometers or so. But they take a lot of computing time to run, so you can’t model long periods of time. So, there’s always that trade-off—that you want a long record, and you want it highly resolved spatially, and you can’t always have everything. There are different techniques, like downscaling: You have a higher-resolution model within a global model. The global model, which has fairly coarse resolution, feeds information about temperature, winds, and so on, to the regional model. I think observations are really the key. We need to collect data now to be able to assess changes in thirty years’ time. In thirty years’ time we will have further developed our models, but we can’t go back and collect the data that we wished we would have had. So I think it’s an exciting time to be doing this research, because the observations and models are coming together to actually be able to test some of these questions.